Is poker a game or a sport? @TomDwan weighs in. 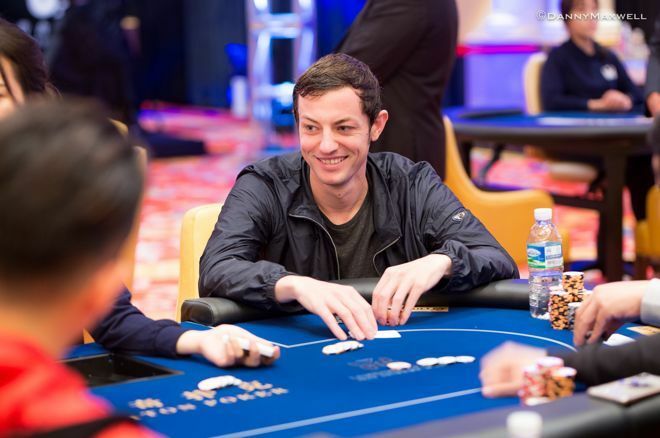 With the Triton Super High Roller Series wrapping up in Jeju and episodes of the Triton Million Dollar Cash Game about to appear, PokerNews caught up with Tom "Durrrr" Dwan to ask him about his participation in the Triton events and why he's otherwise been more scarce when it comes to playing other no-limit hold'em tournament series. Dwan listed a preference for "short deck" hold'em over full deck NLHE as one reason, but added other thoughts about the atmosphere at many NLHE events as a contributing factor for him as well. "I think the few tournaments I've played lately... people have taken the 'staring at you' to a whole new level, taking a long time every hand," says Dwan. Dwan admits to having gone into the tank a few times himself on old episodes of High Stakes Poker, though draws a contrast between legitimately thinking through options and slowing the pace of play for other reasons. "Now I think feel like people are taking it to an extreme and it's not that fun... not that sporting," says Dwan. Other pros have responded to Dwan's comments, including Bryn Kenney who is one of many who have chimed in via Instagram. Kenney says Dwan is "dead right" about players taking tanking to an extreme. "Should be a penalty for staring at amateurs," says Kenney, adding how excessive tanking is "not making the game fun and people need to understand how important it is to make the game fun to attract players to wanna play." Antonio Esfandiari is of a similar opinion, as he shared over Twitter. "Could not agree more," Esfandiari tweeted. "Absolutely terrible for poker. Who wants to go to a poker table and just be stared at?" Dwan goes on to say he thinks such deliberate play is related to the fields of many NLHE tournaments, especially the bigger buy-in ones where there are more pros and fewer recreational players. Meanwhile in the Triton High Roller series where there's a diverse mix of players, that's not the case. "Part of that is the location and the set-up and who's running them and all, but I think part of it is also the dynamic of a more friendly... healthy, take-a-long-time-only-if-you-have-something-decent-or-you're-really-thinking-of-bluffing type of atmosphere," Dwan explains.